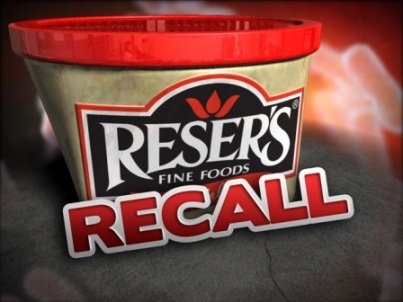 According to an FDA release, Following the Reser’s Fine Foods, Inc. (“Reser’s”) recall where select Reser’s products were recalled due to the potential of being contaminated with Listeria monocytogenes, Taylor Farms Tennessee, Inc. (“TFTN”) and Taylor Farms Maryland, Inc. (“TFMD”) are voluntarily recalling a limited number of products that contain Reser’s recalled ingredients. There have been no reported illnesses associated with these products. 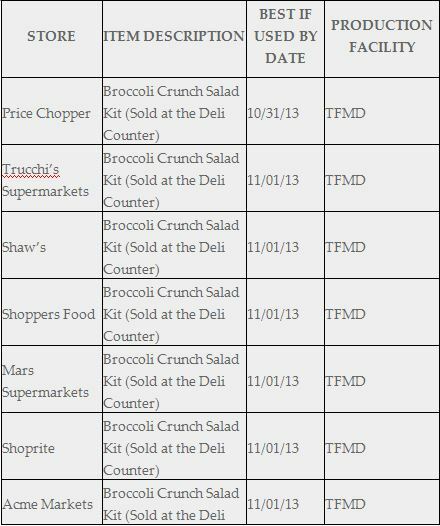 The products subject to the recall were only served at the deli counters at the respective establishments listed below and are limited to the code dates provided. These products are being recalled because they have the potential to be contaminated with Listeria monocytogenes, an organism which can cause serious and sometimes fatal infections in young children, frail or elderly people, and others with weakened immune systems. Although healthy individuals may suffer only short-term symptoms such as high fever, severe headache, stiffness, nausea, abdominal pain and diarrhea, Listeria infection can cause miscarriages and stillbirths among pregnant women. 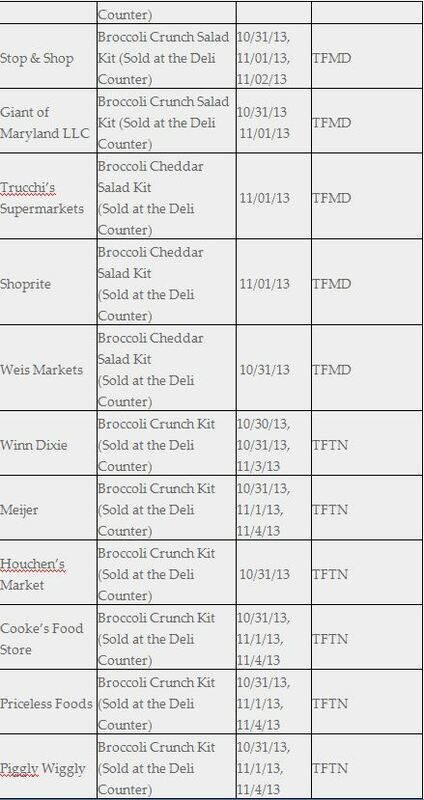 To date, there have been no reported illnesses associated with these recalled items. Customers who have purchased these products are urged not to consume the products and should dispose of the recalled products immediately. Consumers may call for further information at 1-866-508-7048 between the hours of 9 a.m. (PST) and 5 p.m. (PST) -Monday through Friday. Consumers with concerns about an illness from consumption of this product should contact a health care provider.